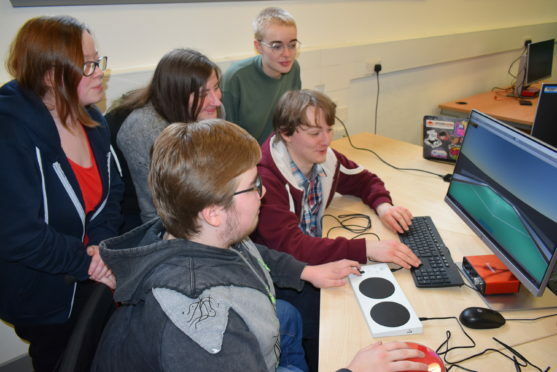 Students at a Dundee university have teamed up with a children’s hospice to create a video game that can be played by children and young people with disabilities. 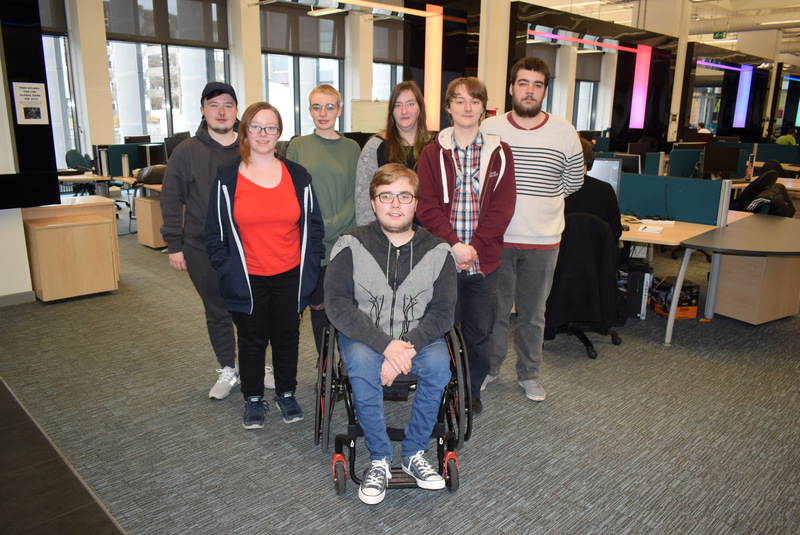 A team of students at Abertay University are working with Children’s Hospices Across Scotland (CHAS) to ensure gaming is accessible for all. CHAS cares for babies, children and young people with life-shortening conditions and their families across the whole of Scotland, via their two hospices, Rachel House in Kinross and Robin House in Balloch and via its CHAS at Home service. Gaming is a very popular activity for many of the children and young people supported by CHAS, but unfortunately it is not always accessible for people with physical conditions such as Muscular Dystrophy, as some games require lightning-fast button presses or motion-based controls. Team Dreaming Turtles – made up of eight third year students – is looking to combat this by designing a game based around the bowls-like Paralympic sport, Boccia. Boccia Champions accommodates several easy control methods to make it as accessible as possible to children regardless of physical ability. The students are hoping to open it up further in the future by allowing players to control the game through eye gaze technology. Team Dreaming Turtles at Abertay University. Team lead James Hunter said the project had been an enlightening experience: “You tend to think of gaming as an activity that anyone can enjoy, but as we’ve discovered that’s not the case. “For example, many modern games include quick-time events, where you need to press a button quickly. Some disabilities limit your reaction time, meaning that game immediately becomes inaccessible. Andrew Reid, Lecturer in Games Production at Abertay said: “We’re pleased to be able to work with CHAS on a project that should open up gaming to children who may feel shut out of the activity. “The project has been a learning experience for the students, and they’ve been able to look at gaming in a completely new way. Jen Weaver, Transitions Worker at CHAS, added: “We’re excited to be working with the Abertay University students on this project. Gaming is a very popular activity for lots of children and young people and by levelling the playing field through adaptive technology and inclusive games, it can bring families and friends together of all abilities and have a profoundly positive impact on children and young people with life-shortening conditions. To find out more about computer games degrees at Abertay here.